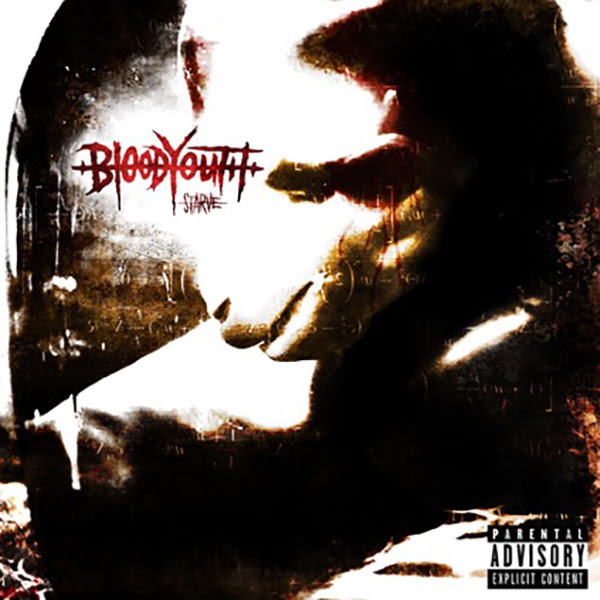 Nu-Metal heavyweights Blood Youth have unleashed another heavy cut from their upcoming sophomore album, "Starve" in the form of blistering new single "Spineless". The band made also a music video, which you can see it below! "'Spineless' is about not being able to change your fucked up state of mind," explained frontman Kaya Tarsus. "No matter what we do or how much we change our appearance, it feels like we all have this inner darkness that eventually creeps back up. You have to accept that this state of mind is your reality and it can stay with you forever. This was actually the first song that was written for 'Starve', it's one of our favourites and it really defined the sound and mood of what was to come." 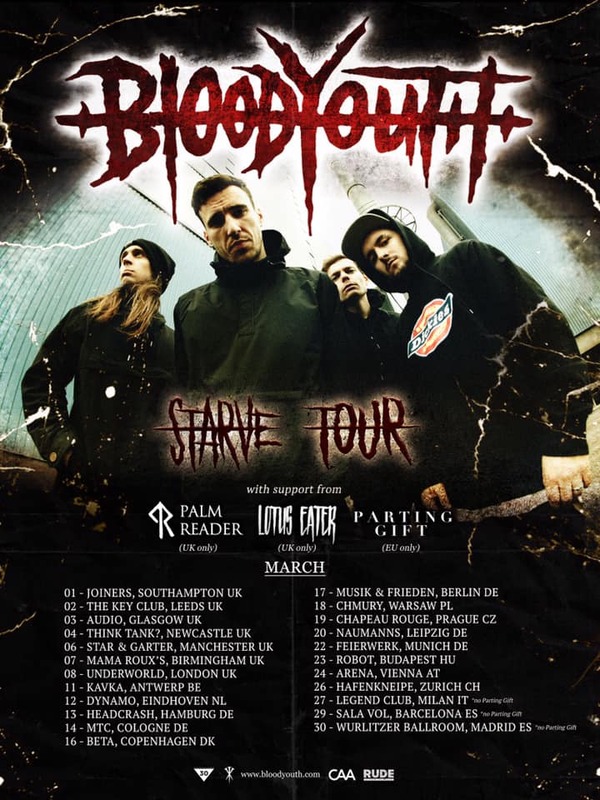 Blood Youth release "Starve" on 22nd February 2019 via Rude Records. The new album sees the band at their lyrically and sonically darkest, opening wounds and diving deep into the despair of emotional and physical pain. Pre-orders are now available here. The Harrogate four-piece have been on a steady upward trajectory since the release of their debut album "Beyond Repair" (2017). 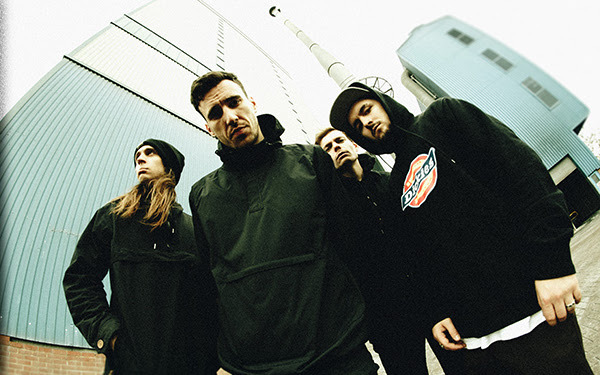 Highlights include supporting Prophets of Rage, Stone Sour, While She Sleeps and Bury Tomorrow, packed out club shows on their first headline tour of Europe, a career-affirming set at Download Festival 2017 and their first Reading and Leeds Festival appearances in August last year. The band will also tour Europe next March. You can check out the new album's artwork and tracklist, as well as the European tour dates below.